Roach & Newton frequently represents clients at the Texas Supreme Court. 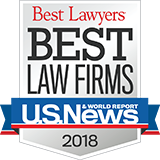 Our practice is uniquely informed by years of practice before the Court, study of the Court’s oral arguments and opinions, and familiarity with the Court’s petition for review process (as supplemented by one of the Court’s former staff attorneys). Reversal of adverse judgment and obtaining industry-significant holdings clarifying that prescription drug manufacturer may fulfill duty to warn consumers by providing intermediaries with adequate warnings and rejecting an advertising exception to the learned intermediary doctrine. Centocor, Inc. v. Hamilton, 372 S.W.3d 140 (Tex. 2011). Securing a conditional writ of mandamus without oral argument that invalidated a trial court’s disqualification of our client’s historic counsel: In re Guaranty Insurance Services, Inc., 343 S.W.3d 130 (Tex. 2011). Reviving a previously denied petition for review through a motion for rehearing and amicus support in No. 11-0213 Coinmach Corp. v. Aspenwood Apartment Corp. (oral argument pending). Serving as co-counsel for petitioners in No. 12-0253 Devon Energy Holdings et al. v. Allen, recognized nationally by LexisNexis Law360 as Energy Case’s to Watch (subsequently settled), dealing with fraud in the inducement of a contract, breach of fiduciary duty, and the enforcement of a release/disclaimer of reliance. Obtaining reversal of adverse jury verdict on grounds that record lacked legally sufficient evidence–specifically no expert medical testimony to support causation. Guevara v. Ferrer, 247 S.W.3d 662 (Tex. 2007). Obtaining take-nothing judgment, a reversal of a gross negligence verdict, and a judicial clarification that a failure to object to the methodology of expert testimony does not waive a complaint that the testimony has no probative value. Coastal Transport Co., Inc. v. Crown Cent. Petroleum Corp., 136 S.W.3d 227 (Tex. 2004).